Those are the clients Simon said he wants to represent. “When I get to do something that really improves somebody’s circumstance by holding a company or another person accountable for their wrongdoing, that is by far for me the most gratifying times in my career,” he said. Simon was admitted to the bar in Texas in 1993 following his graduation from the University of Texas School of Law the same year, according to information on Simon Greenstone Panatier’s website. However, Simon said he didn’t enter law school with the goal of ending up practicing law. Simon said he knew he “wanted to go to law school” but for a time considered divinity school with an eye toward teaching religion. “I was a religion minor in college. I was interested in the topic,” he said. His involvement in mock trial and moot court competitions made all the difference, showing him the path to becoming a trial lawyer. Simon also is licensed to practice law in California and New York and has been recognized for excellence in toxic tort and pharmaceutical injury litigation. 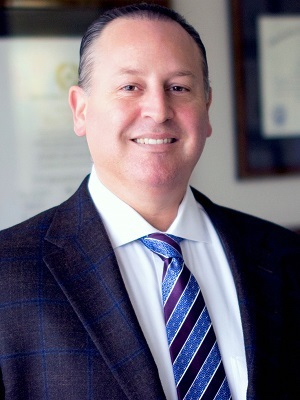 Recognized by Texas Monthly Magazine as a “Texas Super Lawyer” every year for more than 10 years, Simon was president of the Texas Trial Lawyers Association in 2016 and he is Dallas Trial Lawyers Association past president. Simon also is an American Board of Trial Advocates fellow, a distinction bestowed by that board upon attorneys who act as lead counsel in a minimum of 25 cases that are tried to verdict. Simon also sits on the American Association of Justice board of governors. “All of those organizations are dedicated to promoting the right to trial by jury,” Simon said. This is important because trial lawyers must keep abreast of attempts to circumvent the right to trial by jury enshrined in the Seventh Amendment to the U.S. Constitution, as well as in Article 1, Section 15 of the Texas Constitution. Meeting that challenge requires a certain “passion” that up-and-coming attorneys considering toxic tort, pharmaceutical law and similar legal careers cannot do without, Simon said. Those up-and-coming attorneys with that passion should also know what they’re up against, Simon said. But don’t be discouraged, Simon said. Read this story on SE Texas Record website.